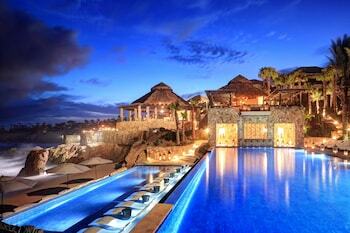 Los Cabos is a popular tourist destination among business travelers and individuals. The city offers a thriving business area and plenty of things to do to relax. 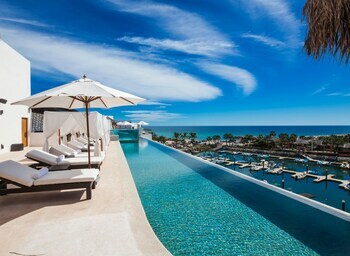 Use Orbitz.com to find discount air tickets from Los Angeles to Los Cabos. Los Angeles is the second most populated city in America, and the airport is one of the busiest in the country. It is located approximately 15 miles from the downtown city center. Several popular airlines fly from Los Angeles to Los Cabos, including US Airways, United Airlines and American Airlines. Long- and short-term parking is available, with discounts given for extended stays. There are several options for transportation to the airport if you want to leave your car at home. Limos are available for rent by the hour, and the Metro rail line provides transportation to several spots in the city. Car rentals are available throughout the city. Many agencies are available at the airport for convenient drop-off, including Fox Rentals and E-Z Rent a Car. Taxis are available at metered rates throughout the city, and the public bus system makes several stops each day in the city. Travelers are advised to arrive at the airport at least two hours before flight time. Those arriving early may want to grab a bite to eat before boarding their plane. Starbucks has several locations in the airport, and Euro Coffee offers a selection of blended coffees and bakery items. Los Cabos is a city located in Baja, Mexico. It is one of the major tourist destinations in Mexico, especially for travelers from the United States. Millions of travelers visit the area each year. Travelers to the city will find a selection of things to do and see. For those who enjoy adventure, Sierra Buggies offers a tour of Baja's high country from the seat of an ATV. Enjoy a variety of water sports on the beach at Cabo. Enroll in one of the many surf camps, and learn to surf while on vacation. Swim with the dolphins, and observe many kinds of marine animals at the Dolphin Discovery Los Cabos. You can also choose from one of many resort spas, including the Temptation Resort Spa. Visitors arriving in Los Cabos by commercial airline will arrive at the Los Cabos Mexico International Airport. It is one of the busiest airports in Mexico. If you'd like to explore the region on your own, Orbitz can help you locate rental car agencies in the area. Taxis are available at metered rates, and the airport provides shuttles to various hotels in the area. 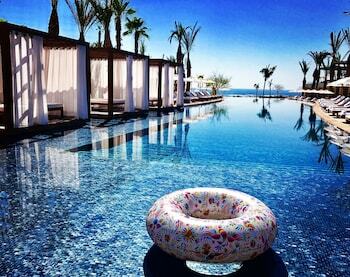 The weather in Cabo is always hot and sunny. Summer temperatures are approximately 95 degrees Fahrenheit. December is the coolest month, with nighttime lows in the mid- to upper 70s. 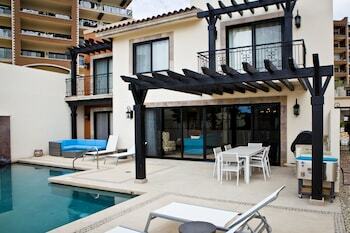 Los Cabos is a busy city with a variety of activities for visitors to choose from. 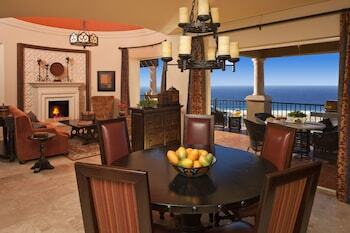 With numerous daily flights from Los Angeles, a trip to Los Cabos is easy to plan. Orbitz.com can help you find the best deals on travel accommodations and car rentals as well as discount flights from Los Angeles to Los Cabos. Bob Hope - Los Cabos Intl. Los Angeles Intl. - Los Cabos Intl. 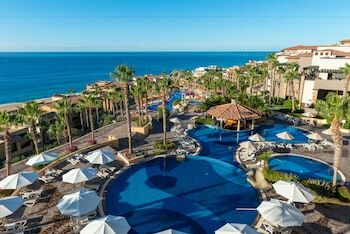 Explore Los Cabos with Orbitz's Travel Guides to find the best flights, cars, vacation packages and more!